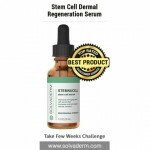 Ageless Smoothing Serum Review: Will This Serum Be Helpful To You? The BareMinerals Ageless Genius Firming and Wrinkle Smoothing Serum is marketed as a luxurious anti-aging serum that can help you achieve a smoother, firmer and more elastic skin. No matter what age you are in. 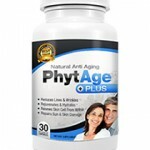 It claims to reduce the visible signs of aging within just 4 weeks. 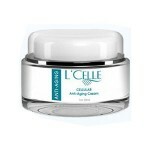 It can reduce the depth and appearance of wrinkles and fine lines. More than that, it can also hydrate the skin and protect it from environmental stressors and help you achieve a more radiant, healthier and stronger skin. As per clinical studies, 90% experienced an improved look in fine lines and wrinkles after 4 weeks, 100% experienced an improvement in skin texture within 2 weeks, 92% experienced a boost in skin firmness within just 8 weeks. 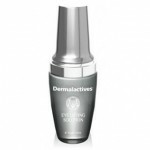 To know more about this product, you should read Ageless Genius Eye Cream Reviews, and this is one of the best reviews that you can ever read. BareMinerals claims to be a skincare company who have always dared to be different. The founders were from San Francisco, and they were surrounded by artists who have always inspired them to think and develop their products differently. But more than that, they were also able to learn to be passionate and pour out their hearts and souls in every product that they make. For over 35 years, the company has been developing and creating a unique skincare brand. Along the way, they were also able to build a community of passionate and strong women who are more than just their consumers but also their lifelong friends. According to bareminerals ageless genius reviews, you can make the most out of this serum by applying 3 to 4 drops of the serum to your skin. Massage it into your face in the morning and at night for a few minutes. Use this only on the cleansed face. 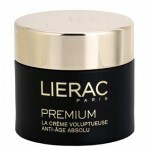 The manufacturer recommends using it with their Ageless Genius Eye and Neck Cream for optimum results. Squalene: This helps to retain the moisture balance of the skin, ensuring that it will remain soft and supple to touch. It also diminishes the excess oil in the skin, preventing the formation of acne. Calendula officinalis Flower Extract: This is the scientific name of pot marigold and is a well-known skin conditioning agent that can leave the skin soft, supple and smooth. It also offers anti-inflammatory benefits that can keep skin inflammation at bay. Malpighia punicifolia (Acerola) Extract: This is a type of cherry that possesses a good amount of vitamins that all work together to develop a glowing, healthy and beautiful skin. It also has vitamin A that can fight off wrinkles and prevent further skin damage. Panax Ginseng Root Extract: This is extremely beneficial to the skin as it can deliver a healthy dose of antioxidants that can protect the skin form signs of aging. It can also energize the skin cells and leave skin rejuvenated. 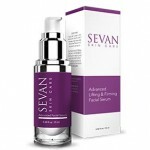 Fagus sylvatica Bud Extract: This can reduce the look of wrinkles and fine lines. 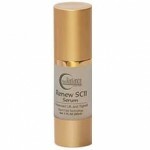 The manufacturer claims that the serum is noncomedogenic and would not, therefore, cause any acne breakouts. It is formulated for all skin types. It is vegan; dermatologist tested and free of parabens, sulfates, oils, and phthalates. There are not many ageless genius reviews online. Some users experienced burning sensation and redness after putting on the product. 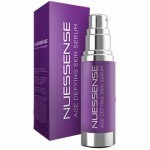 The serum contains a few harmful and irritating substances. 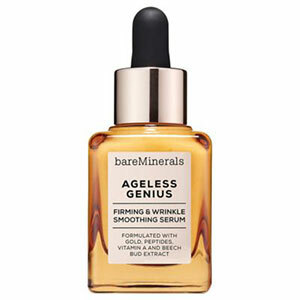 The Bareminerals Ageless Genius Firming & Wrinkle Smoothing Serum comes in a 1 fl oz (30 ml) bottle and is sold for a price of USD 60. You can purchase it in the official BareMinerals website and some other retailer sites. It is true that the serum contains some of the most amazing extracts and ingredients in the skin care industry, but it also has some of the most irritating and harmful chemicals used in skincare products. It has fragrance and fragrant chemicals which are known to cause skin irritation. It also has alcohol which may dry the skin. Lastly, it has phenoxyethanol which is cytotoxic that can cause cell death in the long run. To keep your skin healthy and safe, it is best that you shy away from products that contain such ingredients. If you are not satisfied with the results of the product, you can return the item to them within 30 days after the date of receipt. When returning the item to BareMinerals, make sure to include the packing slip together with your return so it can be eligible for a refund.